We’re happy to announce the discovery of a new planet discovered by Planet Hunters volunteers, which is now published in The Astrophysical Journal. You can read the article for free on the arXiv here. The star (PH3/Kepler-289/KOI-1353/KIC 7303287) is young and Sun-like. Two planets in the system, with periods of 35 and 126 days, had been previously validated statistically, the outer planet being a gas giant. However, Planet Hunters volunteers discovered a third transit signal between these two planets at a period of 66 days (PH3 c). A quirk in the system allowed us to actually measure the mass of all the planets using only the exact times that each planet transited. The outer two planets, PH3 c and d, do not have a constant period like most planets do. Instead, it oscillates around an average value in a regular manner, which meant that it had been missed by computer algorithms but was easy to find for human eyes. In particular, the period of PH3 c changes by 10.5 hours in just 10 orbits due to the gravitational influence of the outer gas giant tugging on the middle planet. If Earth experienced such large changes, then if 2014 were 365 days long, 2024 would be 367.4 days long, almost two and a half days longer than 2014. The new planet is about 2.7 times the radius of Earth and 4 times as massive. Its low density means that, despite its low mass, a large chunk of the planet must be composed of hydrogen and helium: 2% by mass and 50% by radius. The outer planet, on the other hand, is like a warm version of our Saturn, while the inner planet’s mass is poorly known. It could be mostly rocky, watery, or gassy. We would like to thank all of the people involved in the project and all of the Planet Hunters volunteers for making this possible. We hope to find more gems like this in the future. Today we have a guest post from Bekki Dawson. Bekki is a Miller postdoctoral fellow at the UC Berkeley Department of Astronomy. Her research focuses on how planetary systems form and evolve. The origin of “hot Jupiters,” giant planets orbiting extremely to their host stars, remains a mystery. There are two major theories for how these planets “migrated” from a location like our own Jupiter’s to the close-in orbits we observe today. The first is gentle disk migration, in which the disk out of which the planet forms pushes the planet towards the star. The second theory is more violent: another body in the system perturbs the Jupiter onto a very eccentric (elliptical) orbit. Over time, tides on the planet cause dissipation that shrinks and circularizes the planet’s orbit. In 2012, Aristotle Socrates and collaborators predicted that if this secondary theory is correct, we should find half a dozen “supereccentric” Jupiters in the Kepler sample: Jupiters that are still on very elliptical orbits and have not yet tidally circularized. Even taking into account various degeneracies, we can easily identity the supereccentric Jupiters from their Kepler light curves. But surprisingly, we didn’t find any, inconsistent with the prediction. Therefore hot Jupiters continue to be a puzzle! However, the expected number was based on the number of planets that transit at least three times in the Kepler data, so in the future we hope to measure the eccentricities of giant planet candidates with only two transits; if those are missing too, the evidence would be even more compelling. Unfortunately, giant planet candidates with only two transits are not automatically caught by the Kepler pipeline, so if you spot any, let me know! Today’s post is from Ji Wang. Ji is a post-doctoral associate working with Planet Hunters at Yale University. He obtained his PhD at the University of Florida in 2012. He is interested in exoplanet detection and characterization, statistics of exoplanets and its link to planet formation and evolution. We are delighted to announce that the discovery paper of PH2 b is officially accepted and published on Astrophysical Journal. The link to the paper can be found here. PH 2b has been assigned with a Kepler number: Kepler-86b. PH2 b is a Jupiter-sized planet in the habitable zone of a solar-like star. Its radius is ten times of the Earth radii and it finishes one round trip around its host star every 282.5 days. PH2 b has the forth longest orbital period among Kepler detected planets, and it has the largest radius among all confirmed Kepler planets with periods longer than 100 days. Over the past nine months, we have been working on the follow-up observations for PH2 b. From June 3rd 2013 to June 25th 2013, we obtained 4 data points of high-precision radial velocities using the Keck HIRES spectrograph. These observations allow us to rule out the possibility of false positives such as an eclipsing binary and a brown dwarf at a confidence of 96% and 80%, respectively. More radial velocity measurements in the future will allow us to precisely determine the mass of PH2 b.
Avatar. Our discoveries are therefore suitable for the search for exo-moons, which is a frontier in the exoplanet research. As we are writing this blog, we already know that other groups are using the planet candidates in our paper to study the interior structure of gas giant planets and to conduct follow-up observations to confirm their planet nature. The race is on, but we are so glad that the Planet Hunters’ work has drawn so much attention across the community. Last October we announced the discovery of PH1 – a four star planetary system hosting a circumbinary planet (PH1b). The transits were spotted by volunteers Robert Gagliano and Kian Jek on Talk. I’m thrilled to announce that our paper “Planet Hunters: A Transiting Circumbinary Planet in a Quadruple Star System” has been officially accepted to Astrophysical Journal. Congratulations to all involved. Now that the paper has been accepted and is in press, you can find the accepted manuscript online and added to the Zooniverse publications page (which has a total of 4 Planet Hunters in press/published papers based on your clicks). The official journal version will be published sometime in May. PH1b is our first confirmed exoplanet discovery, a milestone for Planet Hunters. The 6.18 Earth radii planet orbits outside the 20-day orbit of an eclipsing binary consisting of an F dwarf ( 1.734 x the Radius of the Sun) and M dwarf ( 0.378 x the Radius of the Sun). For the planet, we find an upper mass limit of 169 Earth masses (0.531 Jupiter masses) at the 99.7% confidence level. With a radius and mass less than that of Jupiter, PH1b is a bona fide planet. Not all planet candidates can be confirmed as we could with PH1b. Since PH1b is orbiting an eclipsing binary, we could use the fact that there are no changes in the timing of the stellar eclipses due to the planet to constrain PH1b’s mass. With the acceptance of the paper, we have asked that PH1b be added to the NASA Exoplanet Archive (NExSci)’s list of confirmed exoplanets . NExSci has taken on the role of being the keeper of the list of confirmed exoplanet discoveries. In addition, PH1b has bestowed the Kepler # that was saved for us in October. PH1b has been given officially a Kepler designation of Kepler-64b and added to the list of planets in the Kepler field. You can find out more about what the criteria for obtaining a Kepler # is here. The NASA Exoplanet Archive is an online astronomical exoplanet and stellar catalog and data service provided to the astronomical community to assist in the search for and characterization of exoplanets and their host stars. Interactive tables of confirmed planets, Kepler Objects of Interest (which includes the planet candidates), Kepler Threshold Crossing Events, stellar parameters for all Kepler targets in Q1-12 and a list of Kepler confirmed planet names and aliases. The archive is available at http://exoplanetarchive.ipac.caltech.edu/index.html and includes links to documentation for all these services. The project’s second confirmed planet, PH2-b (a Jupiter-sized gas giant planet orbiting a Sun-like star), was discovered by several members of the PH community who classified the light curve and then posted the candidate on Talk. A volunteer-organized effort took this from a possible repeat of transits to a likely candidate that was then passed to the Science Team and subsequently validated as a real bona fided planet. Volunteer rafcioo28 who was the first person to mark a transit in Q4. Mike Chopin was the second and the one to first post on the Talk page about the transit in February of last year. Hans Martin Schwengeler went to look at the rest of the publicly released Kepler data months later spotting the other transits. Together rafcioo28, Mike, and Hans with the help of Abe Hoekstra, Tom Jacobs, Kian Jek, Daryll LaCourse have discovered Planet Hunters’ 2nd confirmed planet PH2-b. I’ve asked Mike and Hans (rafcioo28 we haven’t been able to contact thus far) write a bit about their thoughts on the discovery. At school, at the age of fourteen, I did a project on atomic (particle) physics which gained me a grade 1 CSE. The following year I studied and passed my Physics exam which was interesting for my school since that was a subject not on the school curriculum. After leaving school, I studied OND Engineering at Kingston Polytechnic although I only completed my first year since I longed to go travelling. My wanderlust got the better of me and I joined a shipping line as a Navigating Cadet Officer. I suppose it’s easy to see why astronomy has fascinated me since knowing about stars was part of my navigation syllabus. My childhood hero was, and still is, Captain James Cook a man I consider to be the greatest explorer of all time. I consider myself fortunate to have visited many places this great navigator charted. In 2012 his observation of the transit of Venus in 1769 was commemorated at Venus Point in Tahiti. Although I wasn’t there for 2012, I did get to Venus Point a couple of years earlier. Like Cook, I spent some time in the Navy and have a passion for boats especially under sail. I have two complete circumnavigations under my belt; the first by sea (unfortunately via the Panama Canal and not Cape Horn) the second was by air, island hopping my way across the Pacific. I have now visited ninety six countries and hope that it won’t be too long before I join the Travellers’ Century Club. Latterly, I was employed by Lloyds TSB (Registrars) as a project officer with my principal role as the sole technical writer writing context sensitive help for software, on-line documentation, trouble-shooting guides for the IT department and interactive eLearning modules. Following redundancy, I went freelance as a writer and have had a couple of small contracts both as a writer and as a data manager. I am delighted to have been involved with the discovery of an exoplanet, a planet orbiting a distant sun. From the outset, I enjoyed the thrill of analysing the light signals recorded and posted on the planethunters.org website. This website invites ordinary people to take part in analysis of vast amounts of data. Often called ‘Citizen Science’ this excellent website provides clear tutorials to enable the amateur to partake in this worthwhile research project. 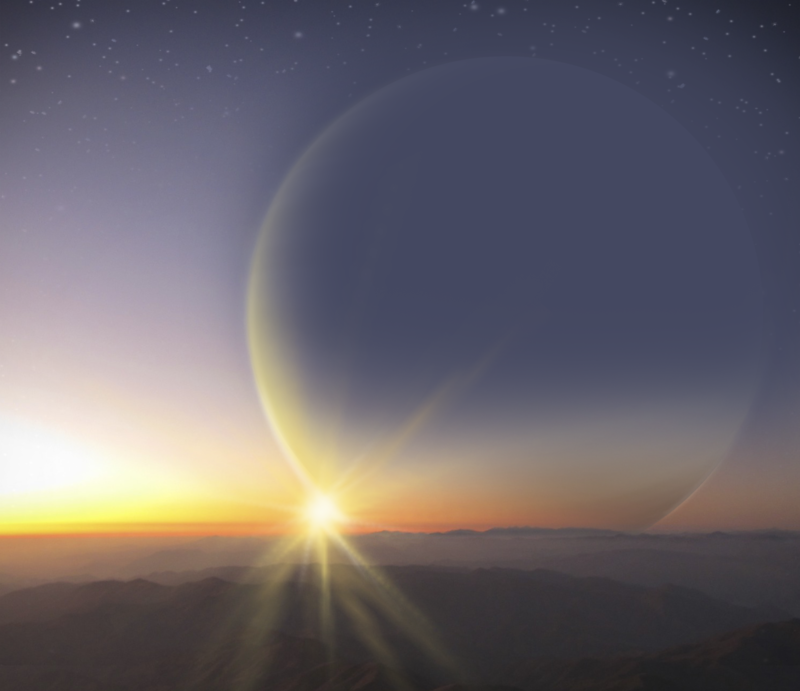 In its simplest form, when an exoplanet passes between our line of sight and its sun, there is a reduction in the amount of light that we receive. This effect can be seen if we plot the light output from this star against time. While trying to analyse the data, I would try to imagine the planet transiting its sun, if it was a large planet and close to its sun would it cut more light than if it had been a small planet and a giant sun? Does it have a high reflectivity (albedo) and is it inclined to its ecliptic and if so, would it add or reduce the amount of light recorded. If distant suns had multiple planets with systems similar to our own solar system, then would it be possible to identify additional planets. It was with all these ideas in mind that I began my quest for the exoplanets. Sometimes, the pattern appeared to be too random to be able to distinguish a planet and at others, beautiful patterns could be seen as if generated by an oscilloscope, these it would seem were possible candidates for a binary star and so these were recorded also. Now and again, a pattern would emerge which would make you sit up and take notice. Using the sliders on the screen, I would drag out the ‘x’ scale to magnify a section of the screen where I was certain a transit was occurring and then I would check to see whether there was a second transit which may indicate its periodicity. It was during such an event that I found, what is recently been called, PH2-b. With, what at time was simply a planetary candidate; I posted a note to see if any of my fellow planet hunters had seen what I had seen. Carl Sagan spoke of the ‘Pale Blue Dot’, the Earth as seen from Voyager 1 in the distant reaches of space, how exciting would it be if spectral analysis revealed this planet to have water and an atmosphere, another ‘Pale Blue dot’, now that would be truly remarkable. I’m a regular user (zoo3hans) on PH, more or less from the beginning two years ago. My name is Hans Martin Schwengeler and I live near Basel in Switzerland. I’m 54 years old, I’m married and we have two children. I’m a mathematician and work as a computer professional. I like to advance Science in general and Astronomy in particular. I did work a few years at the Astronomical Institute of the University of Basel (before it got closed because they decided to save some money…), mainly on Cepheids and the Hubble Constant (together with Prof. G.A. Tammann). Nowadays I’m very interested in exoplanets and spend every free minute on PH. I’ve always been interested in stars, planets and the universe in general. So when I studied Mathematics at the ETH in Zurich it was natural to choose Astronomy as a second discipline. After working a few years on a Statistics research program (based on the Kalman Filter) I managed to get a job at the Astronomical Institute of the University of Basel (Switzerland) as a system manager. There I could work part time on research programs, mainly on Cepheids to determine the Hubble Constant (together with G.A.Tammann and Allan Sandage). I did this with the image processing software ESO-MIDAS, where we analyzed images taken by the ESO New Technology Telescope (NTT) or the Hubble Space Telescope (HST). I also used a program (written in Fortran-77) called superperiod to find the periods of the variable stars found in the galaxy images and see if they could be cepheids with periods between 2 and 100 days. With the Cepheid period-luminosity relationship we were then able to determine the distance of the Cepheid and the host-galaxy. As soon as Michel Mayor and Didier Queloz detected the planet around 51 Pegasi, I was drawn in into exoplanets. I followed every single announcement of the detection of a new exoplanet on Exoplanet.eu and arXiv.org and elsewhere. So when I first took notice of the Planet Hunters project, I joined immediately. In the meantime the Astronomical Institute has been closed down (on monetary reasons) and I was working as a systems engineer at the Federal Office for Information Technologies and Telecommunications in Bern. 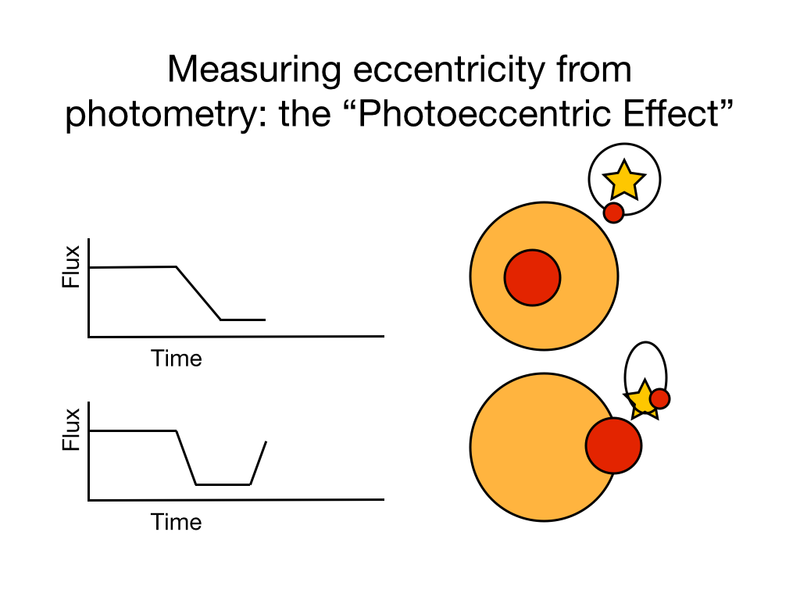 I did not have anymore the tools needed to analyze light curves and so on. I also had to realize that to detect a planet transit in a Kepler light curve is not so easy as I first thought (except for the very big Jupiter-like ones). The learning curve was rather steep. Fortunately some fellow hunters had already gathered some very good insight and also some useful tools. So after some months I think I accumulated enough experience to do some real work here on PH. So when I got the light curve for KID 12735740 I thought it looks very nice and might be a real planetary transit. Kian Jek had already commented on it favorably. The transit shape is more like an “U” instead of a “V”, the transit depth and duration is compatible with a 1.1 R_Jupiter planet with a period around 282.6 days. We can check this with Kian’s very good Planetary Calculator. The first thing I then usually do, is to have a look at the sky view and then post this image to the PH Talk pages for others to have a look too My second step is then to download the FITS files from MAST (using the very good tools from http://www.kianjin.com/kepler/detrend.tar.gz ), detrend the curve roughly and view it by eye first (often using the program ggobi for this purpose). I upload the light curve also to PH if it looks interesting. Thirdly I may do a periodogram to find the period if a good period seems to be present (and upload it as well of course). In the case of KID 12735740 I think all looks very good for a real planet candidate. Not much would be possible without the help of others, especially Kian Jek (aka kianjin) is invaluable here at PH. He compiles very good lists of “good candidates” or EB lists. I also find the other lists of “good Q2 candidates (non Kepler favorites)” (or Q3, Q4, etc. lists) very helpful in finding candidates and discuss them in more detail. It’s otherwise rather difficult to keep track of all the interesting cases on PH Talk. Kian does also the best detrending jobs, contamination vector determination, fitting of transit parameters, and more. nighthawk_black does perfect Keppix analysis, troyw has his amazing AKO service, capella, JKD, ajebson, gccgg, Tom128 and many other are very helpful too.So very often we work together here at PH as a good team. In order to discriminate between real transits and instrumental or processing artifacts, I add comments to the “consolidated list of glitches” in the Science section on the PH Talk site. I collected a few bright and quiet and constant stars over the last few months / years exactly for this purpose. When I see a dip on one light curve and the same feature is also present on the other light curves, then it’s very likely a glitch. I think the PH project is a great contribution to Science. I’d like to thank all fellow PH hunters for their help and also to Meg. In addition to Mike, Hans, and rafcioo28, several others get a tip of the hat for marking transits in the discovery light curve for PH2: Sean Flanagan, Anand, and Jaroslav PeÅ¡ek. Congratulations to you as well. For our latest planet candidates paper, there were many volunteers who helped identify these potential transits on Talk. To thank all of them for their hard work and effort, their contributions are individually acknowledged here. A few people stood out organizing a significant follow-up effort on their own working to sort these potential candidates identified on Talk into a list of potential planet candidates. This included looking for repeat transits and performing checks to rule out potential false positives. To acknowledge their effort, the science asked Abe Hoekstra, Tom Jacobs, Kian Jek, Daryll LaCourse, and Hans Martin Schwengeler to be co-authors on the paper. I’ve asked them each write a bit about this experience and about being part of Planet Hunters. I am from the Netherlands and am fifty years of age. In the past I used to be a teacher. Astronomy has always been a hobby of mine, I am what they call an armchair astronomer. I couldn’t pursue a career in astronomy as I am very bad at maths and physics. Early 2011 I got my first laptop and I subscribed to the NASA Newsletter. When I was reading up on exoplanets, I came across Planet Hunters. I am very glad I can make a contribution to astronomy, however small. When I heard my name was going to be mentioned on the Planet Hunter Planet Candidates paper, I was quite surprised, excited and very honoured. I have been so busy with eclipsing binaries, variable stars, dwarf novae and checking out dozens and dozens of collections of fellow planet hunters, that I almost forgot I made some contributions with respect to finding planetary transits.I had to check the candidates on the list to see where I made those contributions. I found one candidate that I may have discovered first, shortly after I started here in February 2012, and another where I was among he first to spot a transit. I also helped in finding repeats of transit features, by checking out NASA’s Exoplanet Archive (NEA). I definitely remember two candidates I found in other planet hunters’ collections in November.Finding a transit feature and/or repeat is very exciting. It doesn’t stop there. I am among those planet hunters that regularly check stars on Sky View and the NEA. Other hunters are very experienced in doing contamination checks, determining the length and depths of transits, and also determining the period of a planet.That is what I like about Planet Hunters. There is a great sense of community and cooperation here. I hope a lot of planet hunters get a mention in the paper. A great deal of hard work has gone into finding these planet candidates, and finding your name up there is very rewarding.Let’s hope we can add a few more candidates to the list in 2013! I am a graduate of the University of Washington with a non science degree in Business Administration and later commissioned as an officer in the U.S. Navy. Currently, I reside in Bellevue, Washington with my family and work as an employment consultant for workers with developmental disabilities going on 17 years. I have always been a treasure hunter and consider Planet Hunters a great way to find planet and other unique star treasures and learn some astrophysics through immersion along the way. It is a great honor to be part of this planet candidate discovery paper as a Planet Hunters’ citizen scientist. Nothing occurs in a vacuum at Planet Hunters. If not for all your hard work in classifying light curves and posting your finds on Talk, most likely these planet gems would have slipped away unnoticed. You all deserve as much credit as those mentioned in the science paper. It is all about teamwork and diligent pursuit in analyzing the Kepler light curves. We are collectively demonstrating what the incredible pattern recognition of the human mind can accomplish that challenges the high powered state of the art computer algorithms and we are having fun while doing it. I have been fascinated by the stars ever since my uncle handed me a copy of a book by H. A. Rey when I was 10 years old. It wasn’t until much later when I had children of my own that I realized that Rey also wrote the Curious George books. I guess I must have been a geek since then because the other things going on that grabbed my attention were the Apollo moon landings and the original Star Trek series. I used to spend hours with a tiny 2-inch telescope at night looking for the Messier objects, not knowing that it was almost impossible to see them all with an aperture that small – I was hung up on M1 for a long time! It was astronomy got me hooked on science but by the time I went to college I was sidetracked by an interest in DNA and I went on to get a degree in molecular genetics at Cambridge in the UK. One of my biggest thrills while studying there was being able to use a 180-year old 12-in refractor, the Northumberland telescope (http://www.ast.cam.ac.uk/about/northumberland.telescope) during freezing winter mornings. You had to open and rotate the observatory dome using a hand-crank! At last I managed to see the Crab Nebula for the first time. It was, of course, not as impressive as the photographs in the books. It’s been two years since the Planet Hunters was initiated and I’m so proud to be a part of its community. We’ve come quite a long way since those early days in December 2010. Back then very few amateur volunteers like ourselves really knew much about exoplanet transit photometry and we were marking every dip in flux as a transit (I guess many people still do!) and we thought that going beyond 5000 classifications was a big deal – there is even a forum topic devoted to this! I won’t mention who he is because he might be embarrassed but he is one of the co-authors and among my most prolific collaborators – he has done over 100,000 classifications! Since 2010 then we’ve learned much about determining what is and isn’t a planet candidate. We discovered that 99% of transit events weren’t even due to planets. Most of the time they were glitches and even if they were real, they turned out to be false positives, e.g eclipsing binaries (EBs) or contamination due to background blends. I recall being so frustrated by demonstrating that so many of these were EBs that I started a secondary effort to collect what we called unlisted EBs – these were EBs not identified by Kepler’s EB expert Andrej Prsa. But over the two years we learned how to separate a good PC from a false positive. We learned how to use a periodogram and phase plots, what were pixel centroid shifts, how to analyze TPFs, how to pull down Skyview and UKIRT images and how to model a transit light curve accurately. Although I was named in the PH-1 discovery paper, and as exciting as that discovery is, I feel that was just happenstance. My more important contribution to the Planet Hunters initiative has been in collecting, compiling and curating the efforts of the community – In the last two years the Planet Hunters have turned up a lot of potential PCs that seemed to me to be real, and by applying all the methods and techniques mentioned above I eliminated all those that failed the tests. We were disappointed a few times when many of these discoveries were overtaken by events. I recall that the list was pared down from over 50 PCs down to 20 when the February 2012 Kepler paper was released (Batalha et al 2012). But I realized that if over 30 of our independent discoveries were real PCs, that fact alone vindicated our efforts. Slowly that list went up to beyond 30 and then reached 40 PCs. In May 2012, another paper by the Princeton team (Huang et al, 2012) took out another chunk of our PCs, but we continued to persevere and by the time the data releases of July and October came around, we had even more PCs to consider. I spent the last quarter of this year rounding these up and characterizing them. I would not have been able to do this with the help and contribution of the community. I’ve been very privileged to work with some of the smartest and dedicated citizen scientists on this site. I tried my best to follow up on every e-mail and private message you sent me – please keep them coming! I’m a Canadian aerospace machinist and amateur astronomer living in the Pacific Northwest. I prefer working with Kepler data to backyard stargazing as heavy clouds and rain can’t interfere with the former. I am very pleased to see the release of the fifth Planet Hunters discovery paper and the addition of PH2b to the family of confirmed exoplanets. Every volunteer that has participated in the Planet Hunters project thus far has played an important role in the efforts that led to the identification and consolidation of this latest candidate list, which includes a stunning array of potential habitable zone prospects. It is impressively difficult to confirm that a Kepler candidate is a bona fide exoplanet rather than a false positive; thanks to the meticulous follow up work of Ji Wang and the rest of the PH Science team we can say with confidence that these 43 candidates are very likely the real deal. It has been a privilege to work with so many talented individuals on PH Talk as these discoveries were sifted from the many thousands of highlighted light curves. The tenacity and resourcefulness of the PH volunteers can’t be understated or underestimated, and I look forward to what we will find in 2013 as the extended mission progresses. There are already new targets of interest popping up on the radar for the team to pursue, and the single/double transit candidates (some of which are mentioned in the new paper) hint at a hidden population of long period exoplanets that have yet to fully reveal themselves to us. How will our own solar system eventually fit into this widening hierarchy of possible arrangements and configurations? How common are exoplanets within the habitable zones of Sun-like stars? These questions may not be resolved quickly, but the discovery of every new candidate brings us closer to definitive answers. Experts in the field have speculated that the first true Earth analog candidate may be found this year, which will be a very exciting and historic milestone. I don’t think it is a huge stretch of the imagination to consider that with some sharp eyed luck, it may even be found by one of you! I’m pleased to hear that I’m going to be mentioned as a co-author of the PH Habitable Zone (HZ) candidates paper. My motivation to participate in the PH project is not really to “name” a planet or such a silly thing, but to advance Science in general and Astronomy in particular. Probably I’m just a curious fellow, although I’ve got named “a cold precise German” on PH Talk by someone (actually I’m Swiss). I think we have a few very good cases of fine planet candidates collected over the last two years, a few of them even in the HZ of their host stars. Kian Jek (kinjin) has made a good list, many other PH users have also contributed a lot to our collaborative effort. I try to classify as many stars as possible, and also to comment on promising cases, or comment avoiding glitches and other bad features. To examine a promising star, it needs a lot of time. First I just look at the light curve and try to let my brain do the pattern recognition. I actually believe it might indeed be superior to computer algorithms to discriminate between real transits and just glitches or processing artifacts. In my experience it only works down to about 2.0 R_Earth planets, below this border size they cannot be detected anymore just by eye without prior detrending of the light curve. Second I do therefore download the FITS files from MAST and detrend roughly the light curve. Further inspection of the whole Q0-Q13 detrended light curve often reveals already if it might be an interesting case or not. If I suspect a regular signal (i.e. a well defined period) is present in the data, then I try a periodogram to see if the potential transit looks symmetrical, U-shaped and so on. Also important is to check the sky view. We are dealing with stars on the sky after all.A bit frustratingly often it’s just contamination by a nearby background star. Of course I post all findings to the PH Talk pages, so others can profit from the work done so far, and to get their opinion about the case. “specialists” out there who can do contamination vector determination, Keppix series analysis, transit curve fitting and much more. I’d like to thank them all for their great help. I thank also Meg for her great effort to vet more promising exoplanet candidates. PH is a great project!